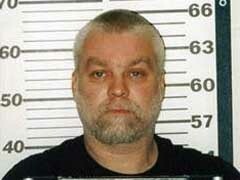 Steven Avery is asking for a new trial. He&apos;s currently serving a life sentence for killing Teresa Halbach in 2005. his attorneys filed the motion this morning, claiming that he was denied a fair trial in 2007 because Manitowac County Judge Patrick Willis refused to allow evidence that several other people were possible suspects. A date for a hearing on the motion hasn&apos;t been set. That is the next step in the appeals process. Avery and his nephew, Brendan Dassey, were convicted of killing Halbach at the Avery family salvage yard, when she came to take pictures of a vehicle that they wanted to sell. Her remains were found in a fire pit near Avery&apos;s trailer.